www.courtorderedclasses.com is a verified Authorize.Net merchant. You can be confident in knowing that www.courtorderedclasses.com is a verified Authorize.Net merchant. 10 YEARS IN A ROW !!! Although our classes are done on-line we are not categorized as an on-line program. We are registered as an "At-Home" Court Program Provider and guarantee court acceptance or your money back. FOR YOUR COURT OFFICIALS. WE ARE NOT CATEGORIZED AS AN ON-LINE PROGRAM BUT AS AN "AT-HOME" PROGRAM !!! Domestic Violence, Battery, Anger Management, Diversion, Divorce, Parenting, Shoplifting, Juvenile Betterment Program, Family Violence, Drug and Alcohol Awareness, Criminal Behavior Modification, High Conflict Parenting and Divorce Classes, and Court Ordered Assessments. Domestic Violence / Battery Court targets misdemeanor cases (the felony cases are heard in Superior Court). There is one Domestic Violence / Battery Court in each county’s two criminal justice branches. A judge is usually permanently assigned to these two Courts. Domestic Violence / Battery Court sentencing occurs one morning each week in each judicial branch. On this calendar, the Court integrates the domestic violence sentencings with post-sentence domestic violence case reviews. Defendants who are sentenced from this calendar are placed on supervised probation for a minimum of 18 months. Unless defendants are remanded to custody, they are ordered to enroll in a certified domestic violence / battery treatment program within 13 days and to return to the same court in precisely 14 days with a Proof of Enrollment form furnished and endorsed by the certified treatment provider. 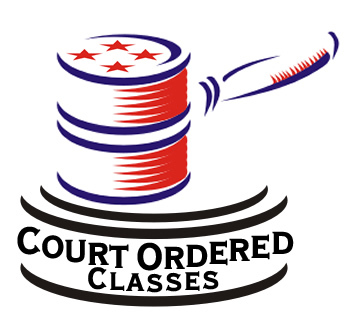 Court Ordered Classes provides you and the Court with Proof of Enrollment and Progress Reports for all of our enrolled Domestic Violence / Battery class participants. Consequences of non-compliance are an extension, of not more than additional 14 days or remand to custody if no Proof of Enrollment is furnished or a bench warrant to be issued if they fail to appear as ordered. During progress report hearings, there is sincere interchange between the Court and defendant. Good progress is always positively reinforced directly by the Court. Poor performance is negatively reinforced in various ways, ranging from verbal admonishment to incarceration. Progress report materials for the Court’s consideration include written reports from the treatment providers and written reports from the probation officer. 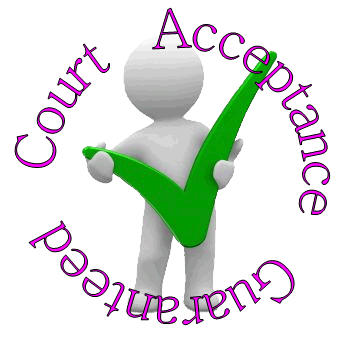 Once again, Court Ordered Classes, upon participant request can provide the Probation Officer, along with the Court, Proof of Enrollment and Progress Reports for all of our enrolled Domestic Violence / Battery class participants. Deferred Entry of judgment (DEJ) is designed for a population of non-sophisticated drug offenders, who enter a plea of “guilty” or “nolo contender” (no contest) to legally-specified drug related charges. The offenders are ordered to participate in a program of drug education and basic counseling, generally for a period of about 3 – 12 months. They are also placed on DEJ probation, usually for 12-18 months, where their performance is monitored by a special DEJ Deputy Probation Officer or DPO. The DPOs monitor treatment progress, and monitor any new arrests, reporting it to the Court, and recommending potential, subsequent Court actions. Court Ordered Classes, upon participant request can provide the Probation Officer, along with the Court, Proof of Enrollment and Progress Reports for all of our enrolled participants. Offenders satisfactorily completing DEJ probation additionally benefit by having their guilty or nolo pleas dismissed at the end of the probation term, relieving them of the legal obligation to report said conviction. Drug Court is a program designed to facilitate substance abuse recovery, through treatment, ongoing monitoring, and reinforcement. Statutorily eligible clients convicted of certain drug-related offenses that do not involve sales activity may be ordered to participate in this program at time of initial sentencing. Drug Court combines essential substance abuse treatment with intensive probationary supervision, and frequent judicial monitoring of client progress through the course of treatment. Prescribed treatment may be residential or outpatient in nature, depending on needs of the client. 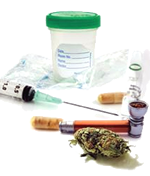 In addition, treatment providers and probation officers administer urinalyses on random and as-needed bases, to consistently reinforce the recovery effort. Clients are seen frequently, in the field, and in the Probation Office, as officers provide all possible support and structure, to create optimal recovery incentive. The specially-designated Drug Court is an integral part of the program. The same Judge monitors the client throughout the program, exhibiting a caring, ongoing concern about each client, and treatment participation/outcome. Upon satisfactory completion of the designated program, a formal graduation recognizing client efforts is held in the same Court, in a special evening proceeding. Recognition of this significant client accomplishment is an important, therapeutic part of the overall process. Once again, Court Ordered Classes, upon participant request can provide the Probation Officer, along with the Court, Proof of Enrollment and Progress Reports for all of our enrolled DEJ class participants. Offenders satisfactorily completing DEJ probation additionally benefit by having their guilty or nolo pleas dismissed at the end of the probation term, relieving them of the legal obligation to report said conviction. This course is ideal for court requirements, businesses, probation departments, human resources, law offices, diversion programs, families, couples and individuals. Our online anger management class is an affordable, convenient and responsible way of learning how to better manage and control anger and anger related problems that occur in life. We have helped tens of thousands of anger management participants using our Anger Management model, and are confident you will find this course to be of exceptionally high quality. Unless defendants are remanded to custody, they are ordered to enroll in a certified anger management treatment program within a given time frame, and to return to the same court on a specified date at the end of that given time frame with a Proof of Enrollment certificate furnished and endorsed by the certified treatment provider. Court Ordered Classes provides you and the Court with Proof of Enrollment and Progress Reports for all of our enrolled Anger Management class participants. Consequences of noncompliance are an extension, of not more than additional 14-30 days or remand to custody if no Proof of Enrollment is furnished or a bench warrant to be issued if they fail to appear as ordered. Once again, Court Ordered Classes, upon participant request can provide the Probation Officer, along with the Court, Proof of Enrollment and Progress Reports for all of our enrolled Anger Management class participants. What is divorce education and why is there a need? As the number of family-related court filings has risen over the years, families have increasingly relied on the courts to resolve family law issues and problems including child custody, visitation, child support, paternity, emergency protective orders, and restraining orders. In our society, divorce is a common event. The National Center for Health Statistics indicated that 43% of first marriages end in separation or divorce within 15 years. In an effort to help family members cope with divorce, judges are increasingly requiring parents to attend programs to make them more aware of the impact of divorce on children. These programs give families exposure to information and skills that may ultimately lead to a reduction in the number of disputes that require a court’s intervention. Most importantly, by requiring divorcing parents to attend these programs, the courts are making a statement to the community that “children matter”! Divorce education programs are being treated as a “first line of defense”. It is estimated that up to a million children a year across the country will experience the impact of divorce. 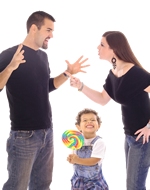 Divorce often creates or complicates problems for parents and children. Parents are faced with the difficulties of handling their own physical, emotional, social and financial needs while, at the same time, helping their children adjust to the changes in their life. Some parents fail to recognize just how significant and upsetting these changes may be for children. Yet, it is possible to focus on positive adjustment to divorce. Positive adjustment involves being relatively free of signs and symptoms of physical or mental illness; being able to function adequately in the daily role responsibilities of home, family, work, and leisure; and having developed an independent identity that is not tied to martial status or the ex-spouse. Divorce education programs are being developed around the country to help parents assist their children through this process. There are a 1000 + such programs operating in the United States, some of these programs offer on-line courses, which meet the court approved national standard. These programs vary in course length, cost, skills-based and information-based, but, all of which focus on reducing a child’s anxiety, depression, and behavioral problems; recognizing parental conflict and how conflict impacts a child’s development; communicating effectively; responding appropriately to children’s divorce related concerns; and changing long-term roles from ex-spouses to co-parenting relationships. Divorce education programs according to research are more effective when a children’s component has been included in the curriculum. It is essential to address issues for both the children and the parents. More than half of United States judicial circuits have some form of Divorce Education that is mandated by the local circuit courts.During the Divorce progress report hearings, if any, there is sincere interchange between the Court and respondent. Good progress is always positively reinforced directly by the Court. Poor performance is negatively reinforced in various ways, ranging from verbal admonishment to incarceration. Progress report materials for the Court’s consideration include written reports from the treatment providers and written reports from the probation officer. Once again, Court Ordered Classes provides the Officer or legal representative, along with the Court, Proof of Enrollment and Progress Reports for all of our enrolled Divorce class participants. Parenting classes are courses taken by parents to assist them in the care of their children. Some courses may be required by court systems due to abuse or neglect, while other parents feel like they need assistance in a particular area. It may not be that they are bad parents -- they just need to learn alternative methods of care giving. These courses are for the benefit of the child and can only make parents more involved, disciplined and focused on what is best for their families. Divorce, most often, creates or complicates problems for parents and children. Parents are faced with the difficulties of handling their own physical, emotional, social and financial needs while, at the same time, helping their children adjust to the changes in their life. Some parents fail to recognize just how significant and upsetting these changes may be for children. Yet, it is possible to focus on positive adjustment to divorce. Positive adjustment involves being relatively free of signs and symptoms of physical or mental illness; being able to function adequately in the daily role responsibilities of home, family, work, and leisure; and having developed an independent identity that is not tied to martial status or the ex-spouse. Parenting education programs are being developed around the country to help parents assist their children through communication, discipline and proper boundaries. There are a 500 + such programs operating in the United States, some of these programs offer on-line courses, which meet the court approved national standard. These programs vary in course length, cost, skills-based and information-based, but, all of which focus on reducing a child’s anxiety, depression, and behavioral problems; recognizing parental conflict and how conflict impacts a child’s development; communicating effectively; responding appropriately to children’s divorce related concerns; and changing long-term roles from ex-spouses to co-parenting relationships. Divorce education programs according to research are more effective when a children’s component has been included in the curriculum. It is essential to address issues for both the children and the parents. If this was a court order, in over half the students it is not, many of United States judicial circuits have some form of Parenting Education that is mandated by the local circuit courts. During the Parenting progress report hearings, if any, there is sincere interchange between the Court and respondent. Good progress is always positively reinforced directly by the Court. Poor performance is negatively reinforced in various ways, ranging from verbal admonishment to incarceration. Progress report materials for the Court’s consideration include written reports from the treatment providers and written reports from the probation officer. Once again, Court Ordered Classes provides the Officer or legal representative, along with the Court, Proof of Enrollment and Progress Reports for all of our enrolled Parenting class participants. Theft Prevention or Shoplifting Classes are designed for a population of offenders who may have the addiction of stealing, who enter a plea of “guilty” or “nolo contender” (no contest) to legally-specified theft charges. The offenders are ordered to participate in a program of theft prevention or shoplifting education and basic counseling, generally for a period of about 3 – 12 months. They are also placed on probation, usually for 12-18 months, where their performance is monitored by a special Deputy Probation Officer or DPO. The DPOs monitor treatment progress, and monitor any new arrests, reporting it to the Court, and recommending potential, subsequent Court actions. Court Ordered Classes, upon participant request can provide the Probation Officer, along with the Court, Proof of Enrollment and Progress Reports for all of our enrolled participants. Criminal Court targets usually targets these misdemeanor cases (as almost all the felony cases are heard in Superior Court). A judge is usually permanently assigned to this Court. Unless defendants are remanded to custody, they are ordered to enroll in a certified treatment program as a reduction of their sentancing or a part of their deal. They are ordered to return to the same court within a predetermined amount of days with a Proof of Enrollment form furnished and endorsed by the certified treatment provider. Court Ordered Classes provides you and the Court with Proof of Enrollment and Progress Reports for all of our enrolled Theft Prevention or Shoplifting class participants. Consequences of non-compliance are an extension, of not more than additional 14 days or remand to custody if no Proof of Enrollment is furnished or a bench warrant to be issued if they fail to appear as ordered. Offenders satisfactorily completing probation additionally benefit by having their guilty or nolo pleas dismissed at the end of the probation term, relieving them of the legal obligation to report said conviction. During the Theft Prevention or Shoplifting progress report hearings, there is sincere interchange between the Court and defendant. Good progress is always positively reinforced directly by the Court. Poor performance is negatively reinforced in various ways, ranging from verbal admonishment to incarceration. Progress report materials for the Court’s consideration include written reports from the treatment providers and written reports from the probation officer. Once again, Court Ordered Classes, upon participant request can provide the Probation Officer, along with the Court, Proof of Enrollment and Progress Reports for all of our enrolled Theft Prevention or Shoplifting class participants. Criminal Court targets misdemeanor cases (the felony cases are heard in Superior Court). A judge is usually permanently assigned to these two Courts. 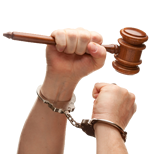 Criminal Behavior Modification class orders can come from all the courts, Drug Court, Domestic Violence Court and Criminal Court. Court sentencing occurs one morning each week in each judicial branch. On this calendar, the Court integrates the feleny or misdemenor sentencings with post-sentence feleny or misdemenor case reviews. Defendants who are sentenced from this calendar are placed on supervised probation for a minimum of 18 months. Unless defendants are remanded to custody, they are ordered to enroll in a certified treatment program as a reduction of their sentancing or a part of their deal. They are ordered to return to the same court within a predetermined amount of days with a Proof of Enrollment form furnished and endorsed by the certified treatment provider. Court Ordered Classes provides you and the Court with Proof of Enrollment and Progress Reports for all of our enrolled Criminal Behavior Modification class participants. Consequences of non-compliance are an extension, of not more than additional 14 days or remand to custody if no Proof of Enrollment is furnished or a bench warrant to be issued if they fail to appear as ordered. During the Criminal Behavior Modifications progress report hearings, there is sincere interchange between the Court and defendant. Good progress is always positively reinforced directly by the Court. Poor performance is negatively reinforced in various ways, ranging from verbal admonishment to incarceration. Progress report materials for the Court’s consideration include written reports from the treatment providers and written reports from the probation officer. Once again, Court Ordered Classes, upon participant request can provide the Probation Officer, along with the Court, Proof of Enrollment and Progress Reports for all of our enrolled Criminal Behavior Modification class participants. Court Ordered Classes is a member of American Probation and Parole Association. Court Ordered Classes is a member of Inside Divorce. Court Ordered Classes is a member of National Anger Management Association (NAMA). 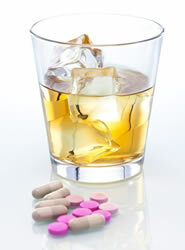 Court Ordered Classes is a member of Alcohol and Other Drug Education and Prevention Professionals. Often it is difficult to attend court ordered classes due to a travel distances, busy schedules, and other life commitments. These online courses allow you to learn the same tools as our "in-person" classes but in a low-stress, convenient, affordable and self-paced environment. Established in 2007 we are the first and only court program provider to offer live video group sessions. We have no hidden fees or costs. No registration fees. Each enrollee, upon registration, will receive a "Proof of Enrollment" without any additional paperwork costs. Each participant will be assigned an individual case manager, and, upon completion of our program, will receive a "Certificate of Completion" again without any additional fees. We provide domestic violence, anger management, deferred entry of judgment, batterers intervention, drug and alcohol awareness, criminal behavior modification, divorce, high-conflict divorce, parenting co-parenting, high-conflict parenting, shoplifting theft prevention and juvenile betterment programs along with drug / alcohol assessments, anger management assessments and DV/BIP assessments all in a Classroom Environment from the comfort of your home. We also offer Assessments for various court orders. Those Judges that are familiar with us know how our classes work and the participation level required to complete them, that is why we are able to provide our programs in 99% of the cities on those lists below. That is the same reason that the judges, officers or social workers that have reviewed us do not consider our Domestic Violence, Batterers Intervention, Anger Management, (DEJ) Deferred Entry of Judgment, Criminal Behavior Modification, Shoplifting / Theft Prevention, Divorce, High Conflict Divorce, Parenting, High Conflict Parenting, Co-Parenting, and Juvenile Betterment Programs along with BIP / DV, Anger Management and Alcohol / Drug Assessments as on-line but as "at-home" live, in-person classroom classes.